Fingerprint snowman. This would be so much fun if they made all the snowmen themselves but had everyone in class make the parts. 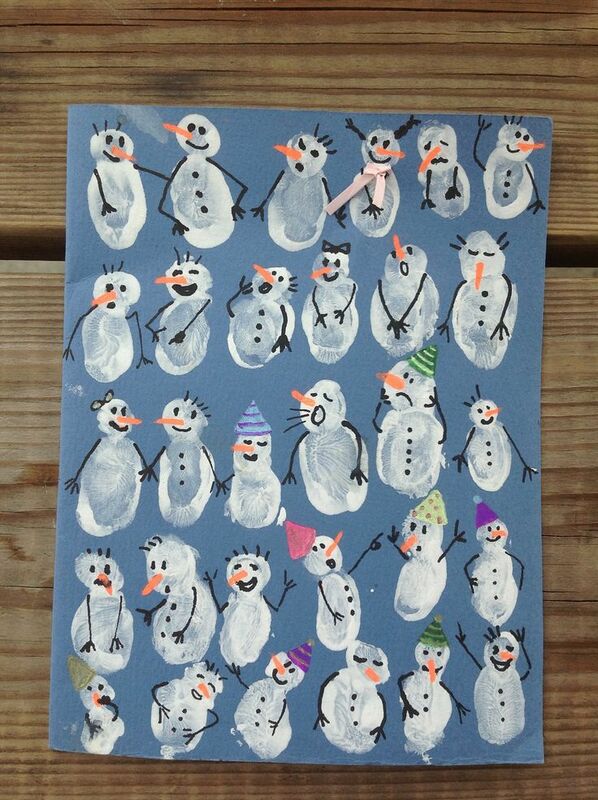 So, if there are 25 kids, they make 25 snowmen and each kid makes one.